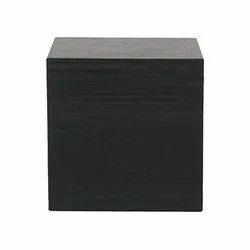 With a goal to cater the variegated demands of our clients, we are offering them a wide range of Cubical Block. Our range encompasses, Graphite Re-boilers, Graphite Ejector and Graphite Vacuum System along with many such. Also, in adherence to international standards our range is manufactured. Apart from this, we follow fair and transparent business policies that has enabled us to emerge as one of the leading names in the concerned domain and our range is widely demanded as well. Backed by our experience of the domain, we are offering an excellent range of Cubical Block to our large number of clients. Following organization set guidelines, we manufacture our range for which they highly appreciated in the market. In addition, offered range requires less maintenance but provides optimum performance.